Chloe joined Nobel Trust in 2012 and she is currently a senior relationship manager at the corporate administration department. She has more than 20 years of experience in the fiduciary field. At Nobel Trust she handles the corporate and banking affairs of a portfolio of clients. She is experienced in overseeing the corporate management of entities registered in Cyprus and abroad. 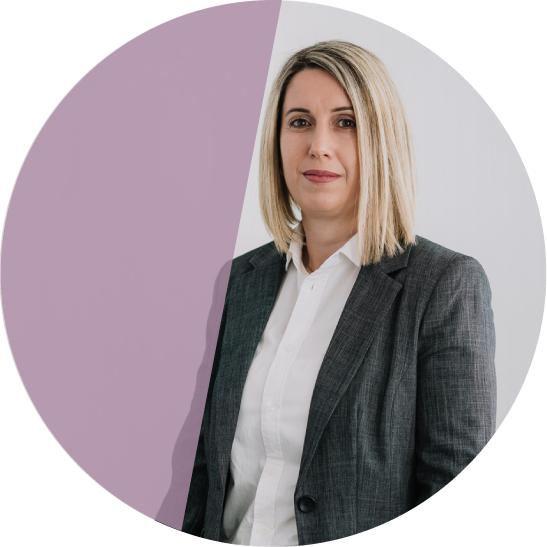 Prior to joining Nobel Trust, Chloe has worked in the administration department of fiduciary firms and a Big4 firm in Cyprus. Chloe has obtained an degree in Secretarial Studies from the University of Nicosia and is a STEP Associate. Chloe is a dynamic and determined individual who enjoys a challenge and works in a dedicated manner. She believes that her key qualities are her excellent organisational skills, her attention to detail and her diligence. Chloe will always remember her trip to Australia where she learned about the culture of the local aborigines.This experience made her appreciate the benefits of modern civilisation. I enjoy being part of Nobel Trust as it has given me the opportunity to develop as a professional and as a person. Also, it is important that the team shares common values, an important one being our common passion for good food!